After last year being my “playing with fire year” with two fire themed shoots, this year I wanted to create something different. A cinematic series that unfolds a story of thieves. 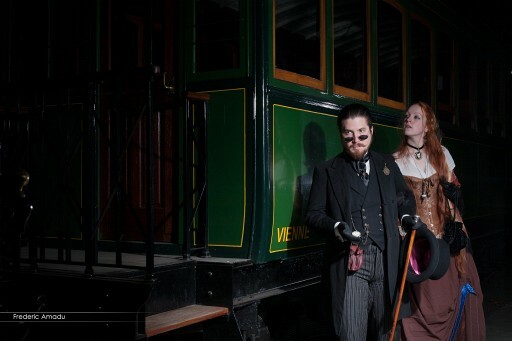 Luck had it that they had the perfect location for the shoot in mind: an old train museum. Here is the cool part, it only took a short chat with the museum to get free access to the for an afternoon. 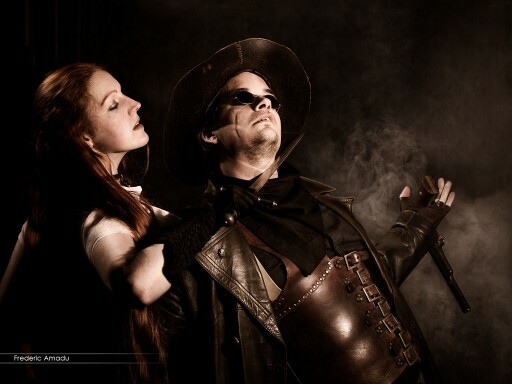 My characters were a strange cowboy, a clever gentleman and a Victorian lady. 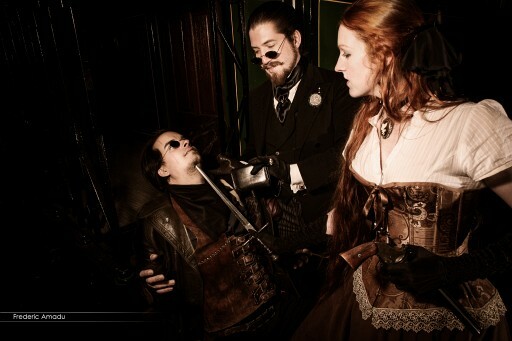 For accessories we used some cool steampunk items like colt guns and carved knifes and for location we had the old train station. All the needed elements were there, and we were ready to shoot. 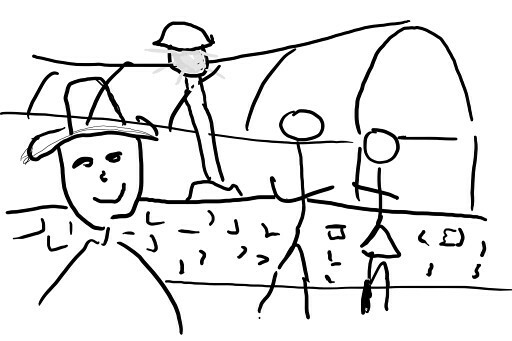 As usual, weeks before the D day, I made a quick sketch for each of the scenes. This really helps in thinking about composition, make tests and share the idea with the models and crew. Once I had the composition nailed, I started thinking about lighting and what other things will be needed to make the photo a reality. The photos were made with my Canon 5Dmk1 set on a tripod (this make any needed post production edits simpler). 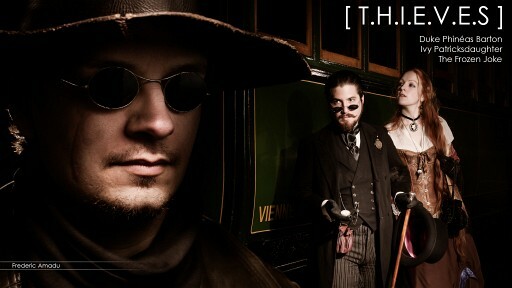 I used three Canon prime lenses: a 24mm F2.8, a 50mm F1.8 and an 85mm F1.4. 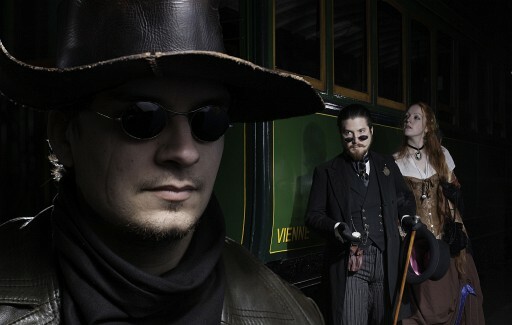 I also used 2 speedlight: a Metz 51 and a Yongnuo 560. 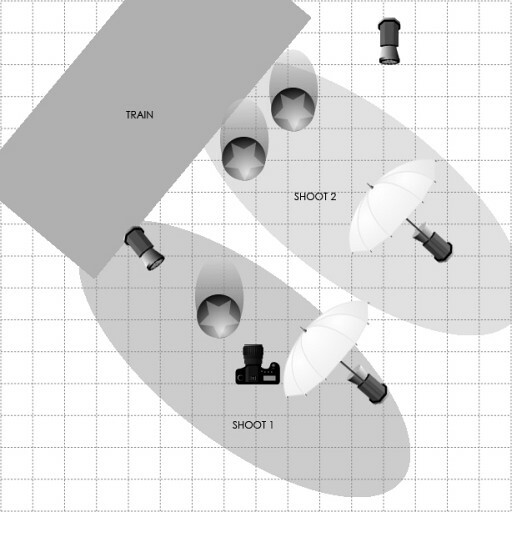 For all the shots, one speedlight – the key – was used with a white umbrella for some diffused and directional light, and the other strobe was used as a backlight or a general fill light. For the first image I wanted to create a kind of movie cover with the thief in the foreground and a scene with the lovers running for the train. Sadly, I only had two speedlights for power and I had to shoot with a wide open aperture, which resulted in a pretty shallow depth of field. 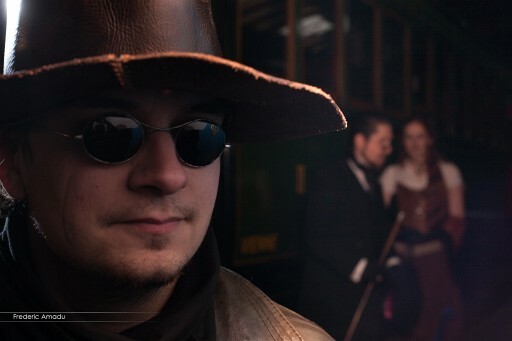 My solution for that was to shoot two photographs, each focusing on different parts of the scene and lit accordingly. This is where setting the camera on a tripod really helped when merging the photos. Finally the two images were merged in post production. Based on this, I started a long dodge and burn (by using 2 curves for light / dark and masks) process to composite in the lights and make the scene look natural. 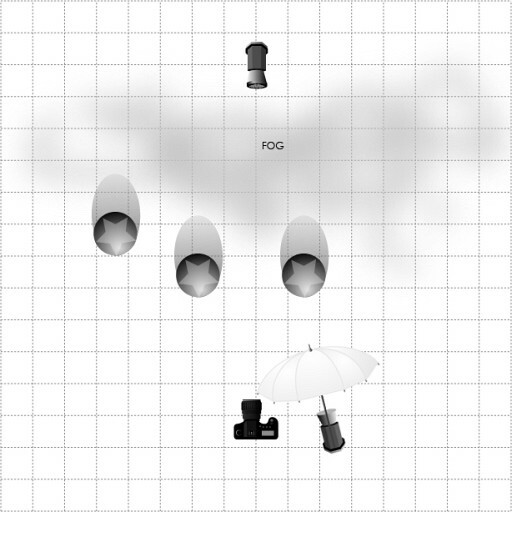 To add more ambiance to the scene and to help with final composite I needed some fog. Since I don’t own a smoke machine, I used smoke bombs. This is probably not the healthiest or smartest way to go about it, but you got to make do with what’s available. 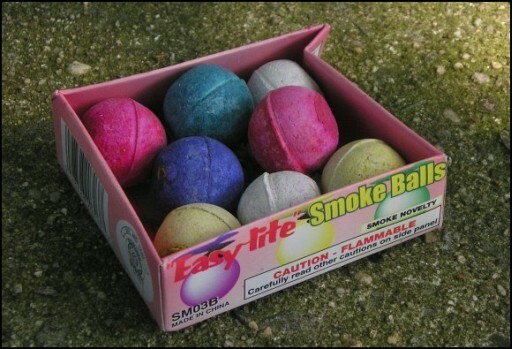 Here is what the smoke bombs look like. Those tiny balls will give about five to ten seconds of smoke. I wanted a strong smoke effect, so I placed the smoke bombs between the models and the back light. 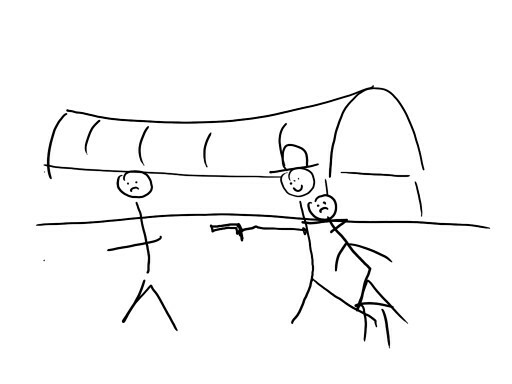 As a result I got that good old stream train station atmosphere. Aside the movie poster and the initial thief attacking the couple scene which I explained above we had two more scenes to cover, all done with similar lighting: The Counter-attack and The Trap. Frederic Amadu is a free lance photographer based in Chelles, France. You can visit his website here, follow him on facebook here and watch his Flickr here.